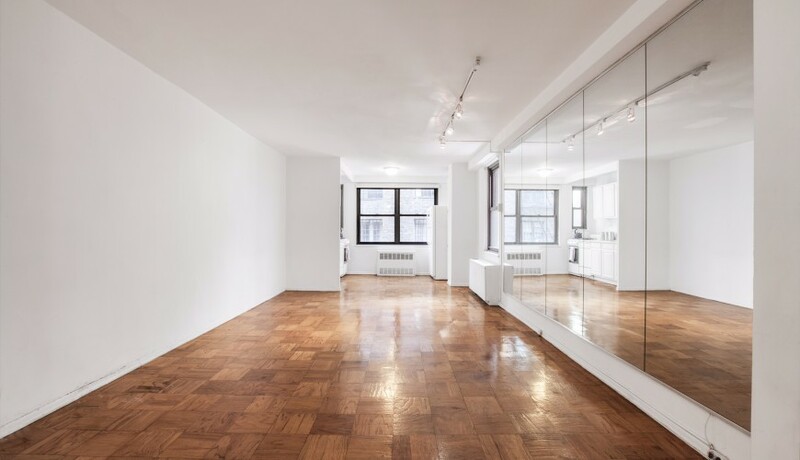 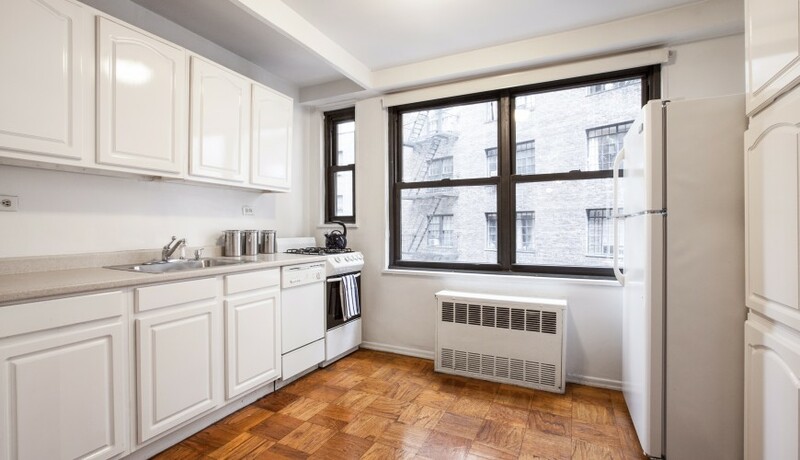 This spacious yet cozy studio has a sleek separate eat in kitchen with dishwasher and full refrigerator. 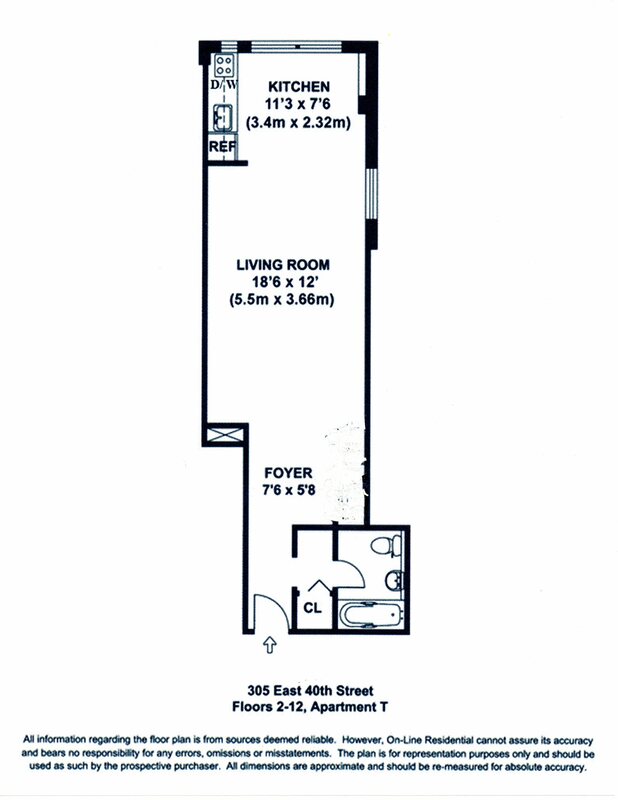 The efficient lay out of this apartment allows space for a full size bed, a full living room set and a desk/office area. 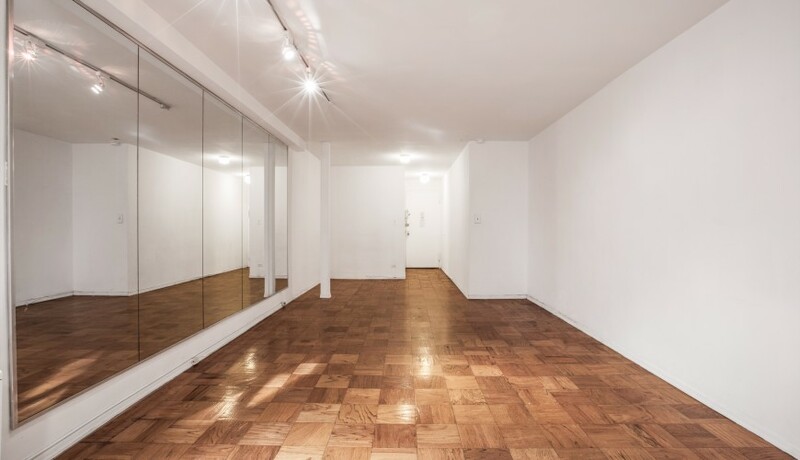 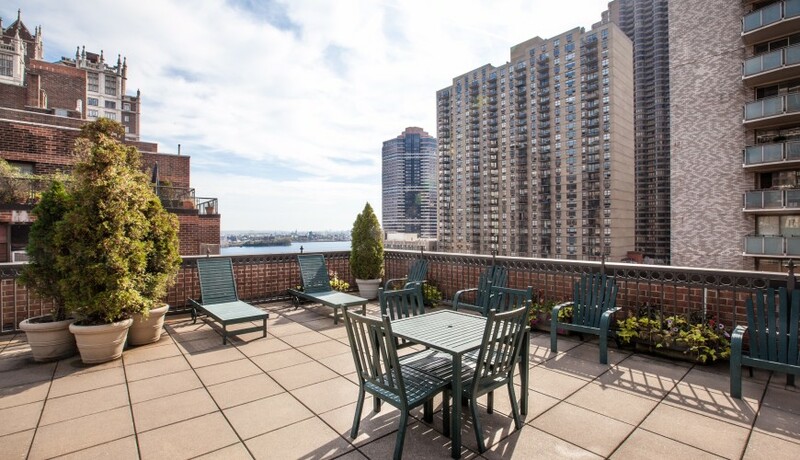 The apartment is located in the heart of Murray Hill at The Hamilton; a full service amenity building providing a 24 hour doorman, bike room, roof deck and on site parking garage, all for a very low maintenance of $591. 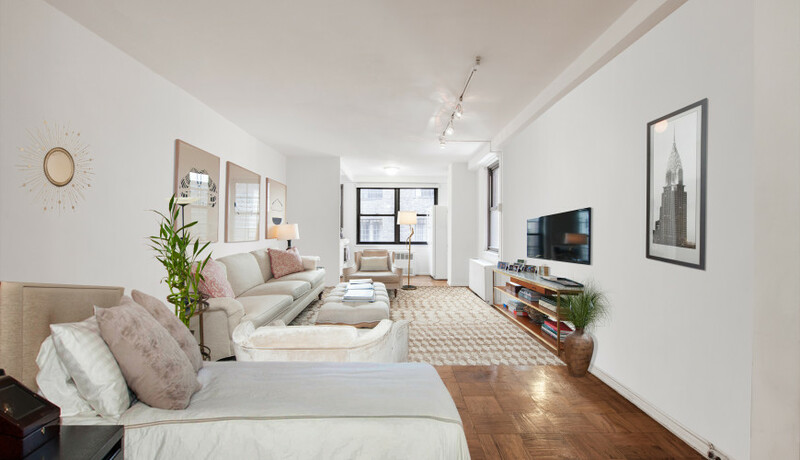 The Hamilton is very conveniently located near countless restaurants and shopping to choose from in this vibrant neighborhood and is located just steps away from Grand Central Station and the United Nations.